Category Archives for "Sweepstakes Programs"
Is WinLoot a Scam? – Read Before Joining! Winning free money is awesome. But do you know what isn’t awesome? Getting scammed. Is WinLoot a scam that you should probably just avoid or is this the real deal? Can you really enter for free into these contests and win money? There or so many different sweepstakes scams out there that you have to be careful with what you get involved in. Whenever I come across an opportunity like this, I always make sure to do a little research and see if things check out before spending a bunch of time and getting my hopes up. In this review I’ll be going over what exactly this place is, what they offer, how it works, some concerns I have and more. 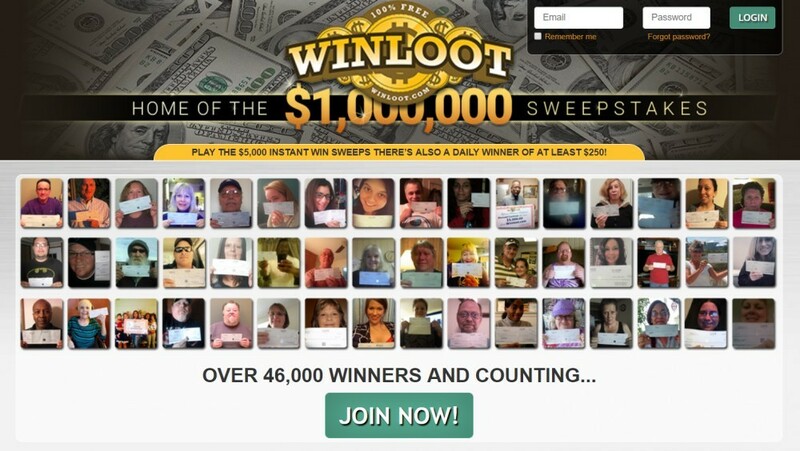 In a nutshell, WinLoot is a free sweepstakes website that claims to be “home of the $1,000,000 sweepstakes”, which is a potential prize, yet I don’t think anyone has ever won it. The opportunity to take part in these sweepstakes entries requires you to be a resident of the United States, Canada, Australia, New Zealand or South Africa. This is typical of sweepstakes sites like this and is the same for Sweepszilla. 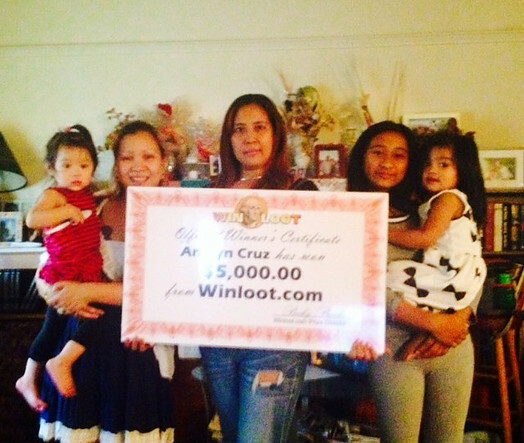 One of their biggest drawings is the $250 daily winner. As you know they also have much higher drawings, yet it seems that people barely ever win these. I don’t think anyone has ever won the $10k a month drawing of the $1 million drawing. So obviously the first thing you’re going to have to do is register. I was reading the roles of the website and has stated that I would have to enter my name, email address, ZIP Code and birthdate, yet whenever actually went to do it, all I had to do was enter my email address. After entering my email I was then sent a confirmation link to that email which I had to click to confirm my account. When I clicked on the link I was taken to a page to “win $10,000″ a month” which was weird because I thought I was entering to win $250 contest based on the page that I entered my email shown above. But whatever…. I mean winning $10,000 a month is a lot better than $250 one time… So I played the game anyhow. This was a typical lottery style game. What I had to do was pick 8 numbers from the 99 numbers that were listed there and after doing so it is said that “your $10,000 for life entry is now complete”, however below that it talked about the $250 entry as if that was what I just entered to win. Huh? Okay this is confusing. At first I thought I was entering the $250 contest, then it made it seem that I was entering the $10,000 for life contest, then it told me that my entry for the $10,000 for life contest was complete, and now it seems like it’s talking about the $250 entry again… What the heck is going on? But anywho… Free money is free money, so either contest is still good… As long as I have a chance to win some money. 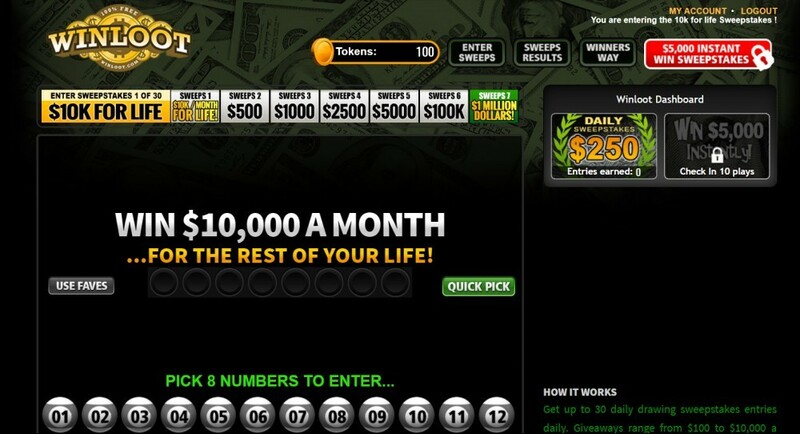 After entering for the first drawing, there was a button for me to “continue to our $100 instant win sweeps”, which I then did and it took me to a scratch-off style lottery game. It doesn’t seem like there is any way to navigate to a particular sweepstakes contest. You enter the first one it provides you with and then it will take you to the next, and then the next, and so on. So as I mentioned are other, I looked into this opportunity a little more. I did find that they aren’t accredited by the BBB and have several complaints, however that definitely doesn’t mean they are a scam and isn’t anything too unusual, although it would definitely be comforting to see them accredited by the Better Business Bureau. 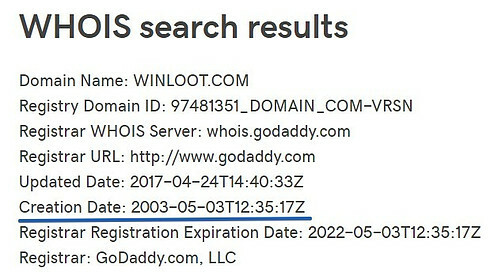 I found that they are owned by ShareStakes LLC which also owns UWinIt, RewardIt, and PrizeLoot, three other sweepstakes websites. But when looking into the company I wasn’t able to really find much of any information. It was also pretty confusing because it seems that there is another company called Globalizer LLC associated with this site as well. A lot of sweepstakes scams pop up on the Internet for a quick amount of time and then disappear forever. In order to see if this was the case, I looked into how old the website actually is, and found that it has been around since 2003. That is a very good sign. I was also able to see that they have a very active Facebook page with an okay amount of interaction with members. This is another good sign. Scam sweepstakes websites might have a Facebook page as well but usually you won’t find much activity and if there is activity you can usually tell that it is fake. One thing that you should always consider when you come across a site like this is where exactly the money is coming from. Where are they getting the money from to be able to reward their members if it is a free to join? They have to be getting money from somewhere, right? Well… Traditionally sweepstakes contests are held for advertising reasons. Usually a company/brand holds one of these contests to spread brand awareness and get their name out there, which can be effective for marketing. However, this website isn’t really doing that. So how are they making all the money? Well… They do make some money from online advertising and such, but other than that your guess is as good as mine. I don’t know. Something I always make sure to do when looking into these types of opportunities is to see what real members are saying. Sure… they show you pictures of people like the person shown below on their website winning $5000 and such, which is incredible and I’m sure these people would have great things to say, but I want to hear all the negative reviews as well. SiteJabber is a good place to find independent reviews. This site often gets a lot of complaints, so you can hear all of the bad things that companies don’t want you to know about them. As you can see below, this person is calling it a scam, claiming that they send fake emails and such. This is a complaint I have come across numerous times. The problem however is that the place actually sending out these fake emails might not actually be WinLoot. I have seen it happen before where a scammer will pose as the real company and try to scam people out of money. While I definitely do still have concerns about WinLoot, I definitely do NOT have any proof that this place is a scam. Now whether or not you consider a scam is completely up to you, but I’m not going to call it one. And I know you may be wondering, well how could it possibly be a scam if it is free to join these sweepstakes contests? This is a good question and the answer is that… Places like this can sell your personal information for money, like your email address for example. This may sound a bit odd, but I have seen websites that participate in this sort of activity. But I’m not saying that this place does. Anyhow… I hope you enjoyed this review and found it somewhat helpful. If you do join WinLoot and participate in their sweepstakes contests, definitely don’t expect to win money. It seems that, while there is a $250 winner every day chosen, pretty much everyone else is only winning around one dollar and very few people are winning the higher prizes. But I guess this is what you should expect. Sweepszilla claims to give away prizes every day and even claims to have given away over $10,000 in prizes total but is it all really true? Is this really the awesome sweepstakes opportunity that it seems to be or could it potentially be another scam? After all, sweepstakes scams are incredibly common. According to the BBB, 2,820 people reported sweepstakes and lottery type scams in 2017… And those are just the people who reported them. Think about all the others that didn’t report. But anyways… You have to be careful when it comes to these sorts of opportunities. You always want to do a little bit of extra research before hand, which I see you are doing now based on the fact that you are reading my review. In this review I’ll be going over what exactly Sweepszilla it is, how it works, some scam concerns and more. As you may know if you have been on my blog before, I often review online scams and help expose them to the public. So when it first came across this Sweepszilla website, I didn’t jump right into it and try to win a bunch of prizes. I first looked around to see if things checked out. One of the first things that I noticed that was a bit unusual is that they say their team has been involved with online sweepstakes since 1994, yet the website was just registered at the beginning of 2018. Sure, they don’t specifically state that this site has been around for that long, but the statement they make is very vague and offers no proof of such being true. Also, the website is owned by company called Taptastic, LLC, which I could find absolutely no information on. This certainly does not mean it is a scam, and it is a relief to see that this website doesn’t contain any of the “warning signs” that are talked about on Fraud.org when it comes to sweepstakes scams since it is free to play, but it is still a bit worrisome. Mostly what you will find on this website are prizes like cash, gift cards and electronics. You might also find some other things, such as coffee makers and whatnot, but not so often. So the first thing you obviously have to do is register. Whenever you click on the “play now” button beside any of the offers there will automatically be a little pop-up that comes up where you will be prompted to enter your email address. That is literally all you have to do, or at least that is all I had to do. After that they will send you an email with a confirmation link you will have to click to confirm your account. After clicking on that link you will be directed back to the main page of the website where you can then enter any of the different sweepstakes opportunities. When you click on an offer you will be directed to a page where you will collect your entry ticket. You can either play a simple little game and choose from one of the 3 treasure chests (you can’t lose) or you can choose to skip the game and collector ticket. And that is that… Pretty simple right? You will be able to go through this process 10 times a day with each giveaway. The limit is 10 entries per giveaway per day. In addition to all of this you will also get what are called “zillas” when you enter into a sweepstakes contest, 1 zilla per entry. These zillas are just points that you will then be able to use to enter into other sweepstakes contest inside the Bonus Prize Vault section of the website. Things you can when here also include things like cash prizes, gift cards and electronics. Sounds like fun… But do you have any real chance of actually winning? Well… The odds of winning are going to vary greatly depending on how many people enter into the contest. Naturally more people are going to be entering the contests for larger prizes. If you have a contest for a $5000 cash prize and 100 people enter into it, and each of those people enter in 10 times including yourself, then you would have a 1/100th chance of winning the $5000 cash prize. But of course a prize like this is probably going to get a lot more than just 100 people entering… I would expect a heck of a lot more because of how long the entry is opened for these sorts of bear prizes. The daily gift card giveaways, such as the $20 Target gift card giveaway that happens daily, would be a lot easier to win however. This is all assuming that they actually give away the prizes they say they do. Now the website is very professional looking and everything, but this doesn’t really mean a thing. How could this possibly be a scam if it is free??? You may be wondering how the heck this can possibly be a scam. After all, is completely free to join and the sweepstakes contests are completely free to enter. Well I have seen it before… they are collecting emails from participants and these emails could potentially be sold for profit. Yes, this is actually a thing that does happen and I have seen it before with other scammy sweepstakes websites, such as Get It Free. So although they are not charging you anything it still could possibly be a scam in a way. Something else you might be wondering is where the heck they are getting all this money from to be giving away? Sweepstakes contests are usually for advertising purposes. Companies giveaway things to help promote their brand and draw attention. HOWEVER, I don’t really see anything like this going on at Sweepszilla, which is concerning. How are they making their money? I honestly have no idea. Sure, they do have ads on their website and small things like this, but it certainly doesn’t seem like that would generate enough revenue for them to be able to giveaway such large prizes. 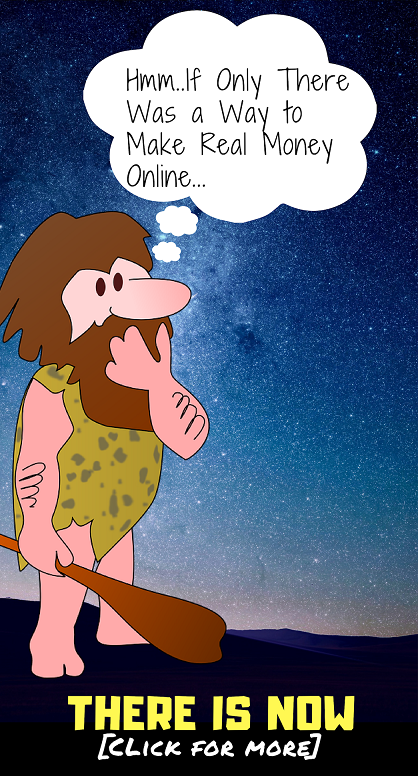 Conclusion – Worth a Try or Not? And since you are interested in sweepstakes you may also want to read a review I wrote on Sweeties Secret Sweeps, which is a sweepstakes membership site that basically keep you informed on all the good to sweepstakes opportunities out there that you can participate in. I know this is a little bit off base, but since you are looking to make money online in your spare time, you may also want to take a look at this guide which goes over how I do so and make over $6000 a month consistently. It has nothing to do with sweepstakes and does require real work, but I’m just throwing it out there because some people might be interested in it. But anyways… I hope you enjoyed this quick review and found it at least somewhat informative and helpful. I’m sorry I can’t give you a very conclusive answer on whether or not Sweepszilla is a scam, but I hope I have a provided some good insight. If you are looking to enter OMG Sweeps sweepstakes drawing you might want to think again. Why do I say this? Is OMG Sweeps a scam or something? Well I did a little searching around and from what I can tell this places is more than likely a scam. I would avoid it if I were you because nothing good will come from it and I’ll go over why. OMG Sweeps is a sweepstakes drawing website that just about no one has ever heard of. I had never heard of them until one day I came across them online. 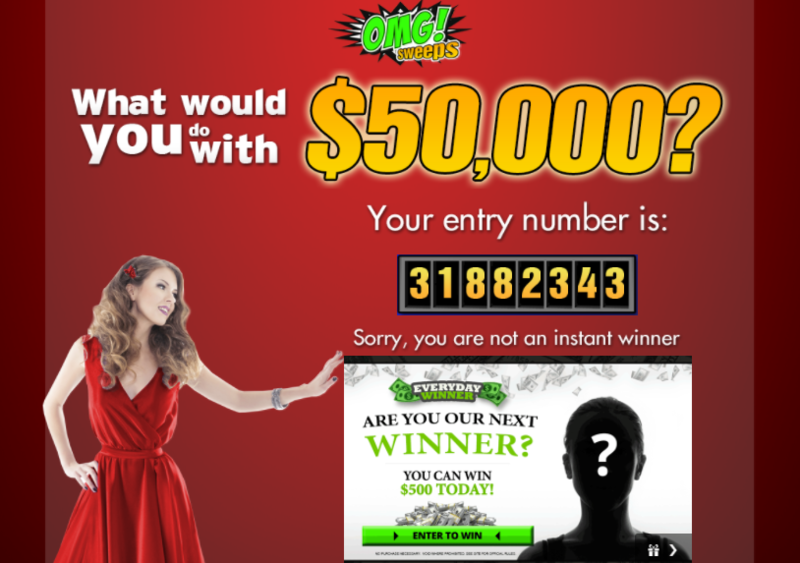 The site caught my eye right away because it said that I could enter for a chance to win $50,000. They tell you that all you have to do is enter your email address and you will be automatically entered into the drawing, which will happen instantly. After doing a little bit of digging around and reading their Terms of Service and some other pages, I was able to find how they claim it works (emphasis on “claim”). Apparently when you enter your email and click “Dray My Number Now!” you are automatically given a random number between 1 and 75,000,000. This is called an Encrypted Entry Number (EEN). And apparently they have already chosen the lucky number that is going to win the $50,000. So if the number that you get matches that number then you win. But of course you probably aren’t going to win because your chances are 1 in 75 million and because I am very suspicious that this site is even legitimate in the first place. The reason I don’t trust this place is because there is no information on them. I did some searching around on Google and on the website and failed to find any information about the company. 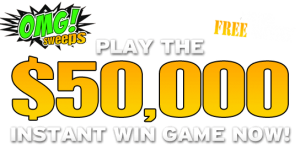 Doesn’t it seem strange that a company that is giving out $50,000 to lucky people who enter to win for free isn’t receiving praises all over the internet? There would be people at the very least talking about them on social media sites. But there isn’t and this really raises my suspicion. On top of that they have no “About Us” page and no way to get in contact with them. There is no email given that you can contact them, no phone number, no nothing. Any legitimate company that is giving away massive amounts of money is going to tell a little about themselves and provide a way to get in contact. That is just how it works. 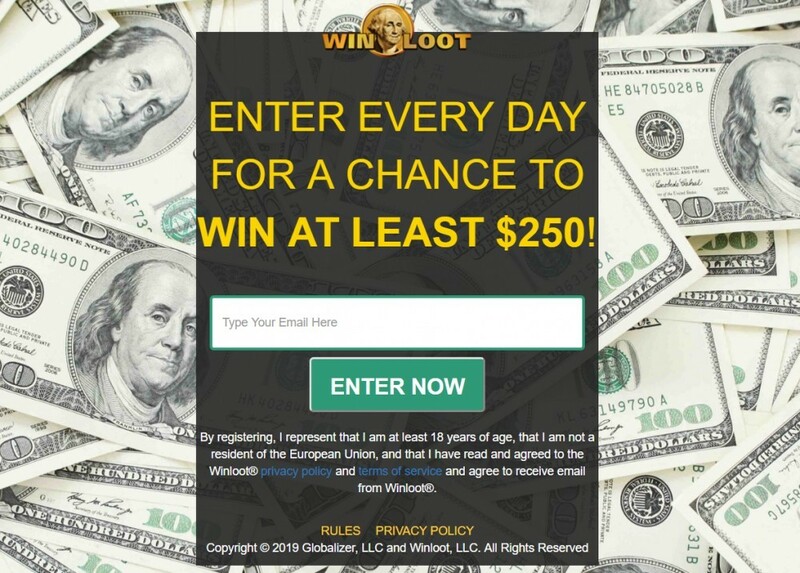 Another red flag that I came across that I found strange is that after I entered my email and was given a number that didn’t win anything, there was an advertisement for another sweepstakes website called Everyday Winner. I clicked on this site and it was the same story. No information whatsoever that I could find on this place. My guess is that this site is set up just to gather people’s email addresses. They use clickbate type tactics to lure you into entering your email by telling you that you can win 50 grand but really there is no money to be made. They just want your email and are tricking you into getting it. Email lists are worth big money when it comes to online marketing and there are lots of similar scams like this that trick people into entering their emails. What is probably going to happen if you do end up entering your email is you will all of a sudden get a lot of spam emails from giving your email to this place. Conclusion, Is OMG Sweeps Worth Entering? I am never going to tell anyone what they should or should not do. All I do is give my opinion and advice. My advice is to stay far far away from this place. Its not the end of the world if you do sign up. As I said, you will just get spam emails at the most. But its not worth it. There is no doubt in my mind that this is a scam. I have reviewed hundreds of scams over the years and this has many common characteristics of one. What I see with it just doesn’t add up to it being legit. And I’m sure you probably were already thinking the same thing because you clicked on this post that I wrote in the first place.